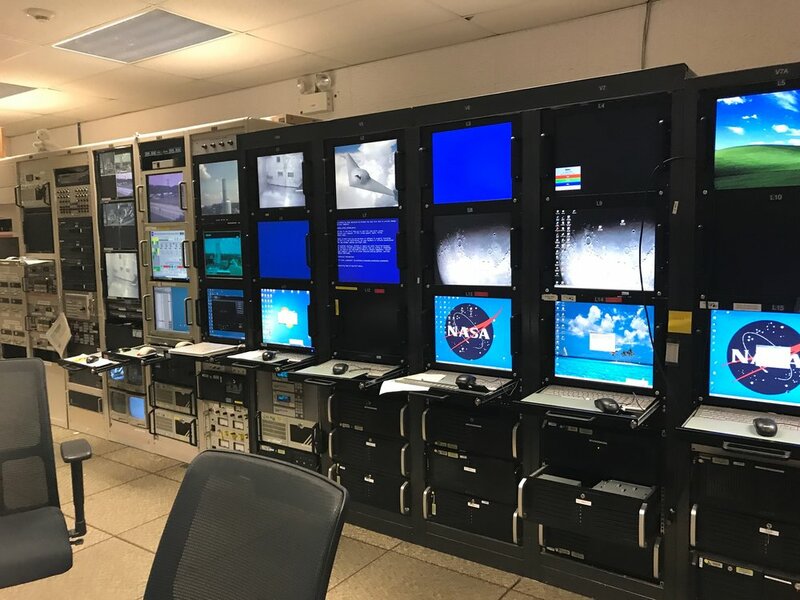 I had the pleasure last week of touring NASA Langley as a part of a NASA Social Media event! It was mind-blowing to see a NASA campus with so much history, where Katherine Johnson (THE Hidden Figure, no longer hidden) made the calculations necessary for the first manned space flights. We toured NASA Langley's Advanced Manufacturing Research facility, several wind tunnels including the famous National Transonic Facility, the Landing and Impact Dynamics Research Facility (LandIR) where Buzz Aldrin trained for Apollo 11's final descent to the surface of the moon, and NASA Langley's historic research aircraft hangar. We also got a ton of sweet NASA swag including eclipse 2017 solar viewer glasses! Multiple Exposure image of LEM at Impact Dynamics Research Facility (1297); 1967. Credit: NASA. 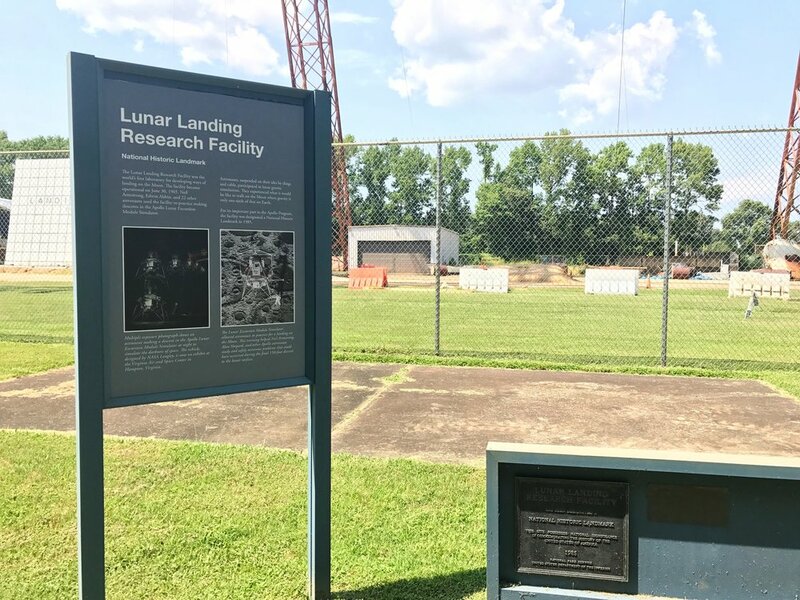 The Landing and Impact dynamics research facility is a National Historic Landmark based on its contributions to the Apollo program. It's basically composed of a giant pool (for water landing tests), a warehouse of crash dummies, a pile of covered dirt, and a huge metal structure for hoisting spacecraft and aircraft before dropping them for crash tests! LandIR at NASA Langley. Credit: Paige Jarreau. Today, the facility is being used to test water landings for the Orion spacecraft capsule (which will be used for future missions to Mars!) and crash performance of other aircraft. We also toured the ISAAC (Integrated Structural Assembly of Advanced Composites) facility. ISAAC is "a huge arm that moves and spins to pick up massive heads filled with spools of carbon fibers, [that] works in preprogrammed patterns to deposit those fibers onto complex forms or folds up to 40 feet long," according to a NASA social handout. It's a giant robot that is being used to create stronger, lighter composite spacecraft materials in less time and with less waste. 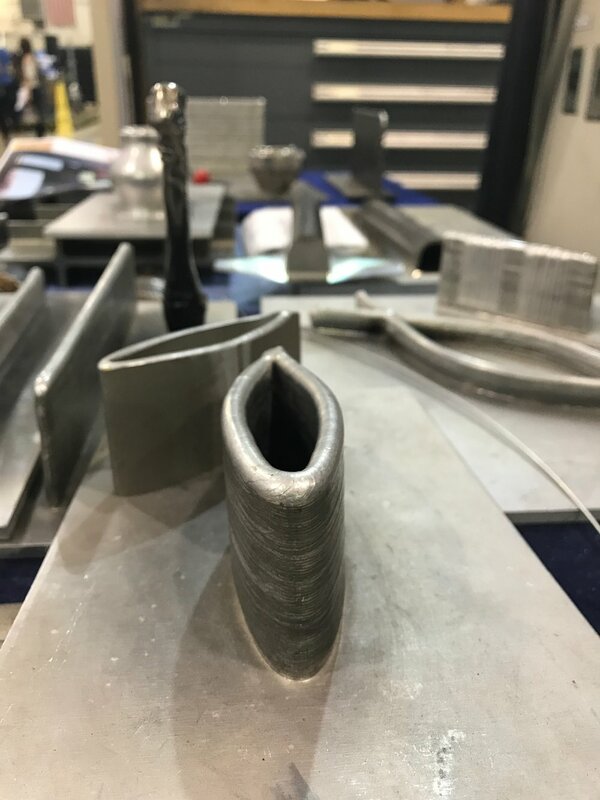 In the same facility is an Electron Beam Freeform Fabrication chamber (EBF3) - basically a 3-D printer for spacecraft and aircraft tools and parts printed direct from CAD designs with titanium and other metals! A portable version of the EBF3 is set to be tested on the International Space Station, so that astronauts could make the tools and materials they need in space on site instead of carrying everything with them. 3-D printer for metal parts! My favorite part of the NASA Langley tour was seeing the wind tunnels. NASA Langley has a series of wind tunnels for testing in subsonic (low speed) and transonic conditions. 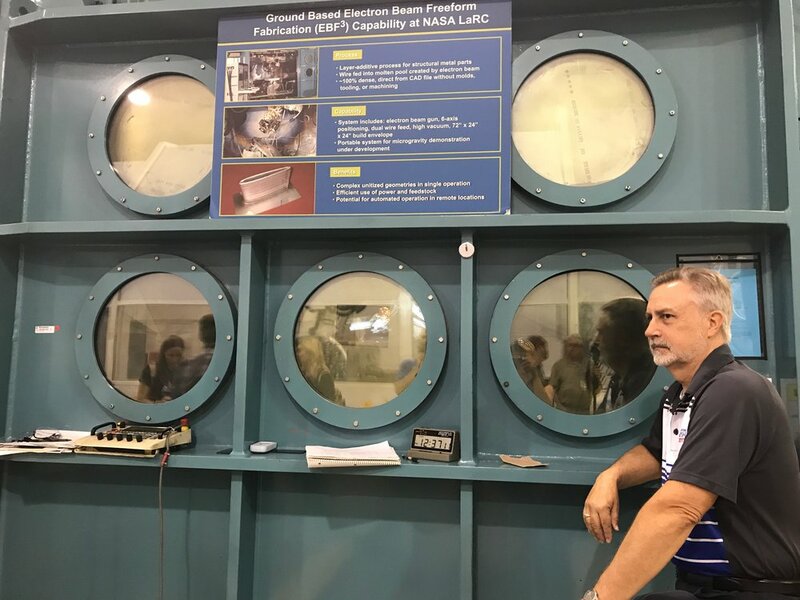 The 14x22-Foot subsonic wind tunnel facility dates back to the days when NASA was NACA (National Advisory Committee for Aeronautics) and has been used to test aircraft, spacecraft and other devices that "blow in the wind" including parachutes and wheel-chairs. 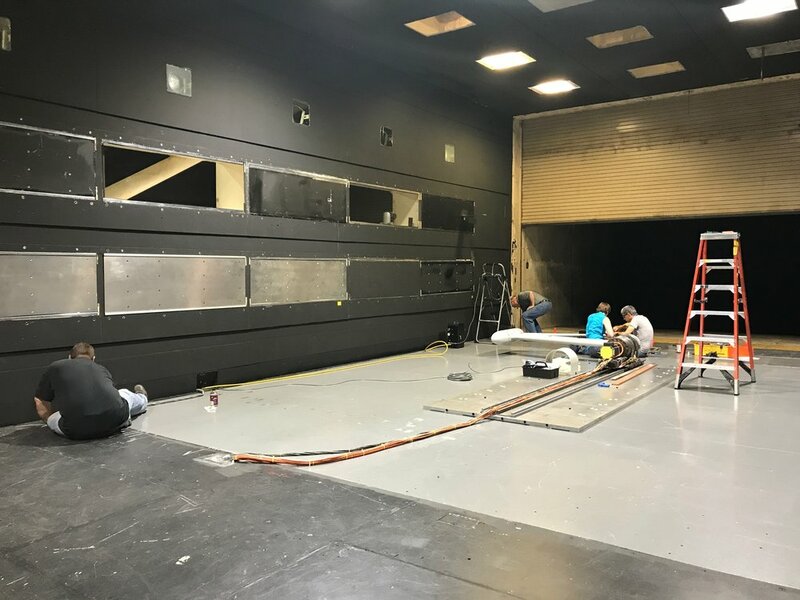 The walls, ground boards and camera windows of this wind tunnel are all interchangeable, allowing for many different testing configurations. Aircraft model testing in NASA Langley's 14x22-Foot Subsonic Tunnel. Credit: NASA Langley. 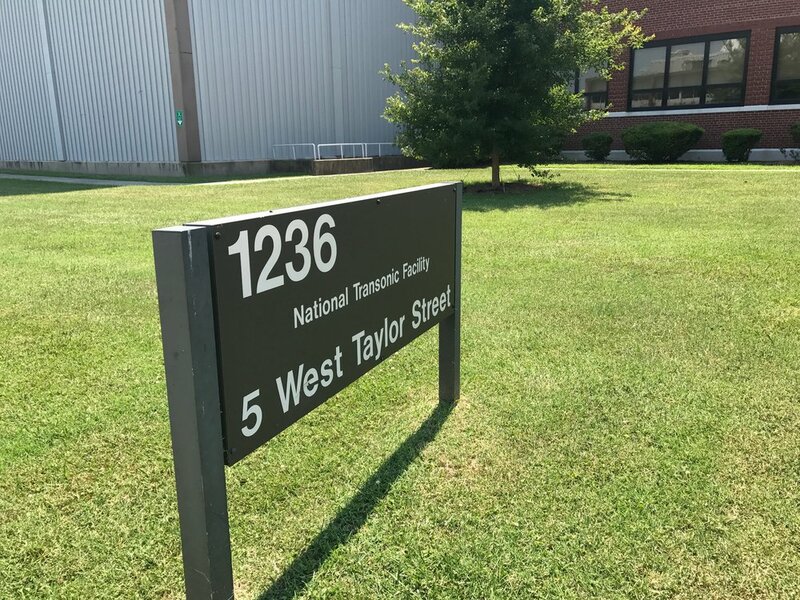 The National Transonic Facility (NTF), operational in 1984 (when I was born! ), is the world's largest and the nation's most precise pressurized cryogenic (pumped with liquid nitrogen) wind tunnel. Because the tunnel uses pressurized, cold air, the environment inside of the tunnel can be "scaled" for model spacecraft and aircraft to determine how air would flow over their life-sized equivalents. A Blended Wing Body model being tested in the NTF. Credit: NASA. A model aircraft being put together for testing inside the NTF. Credit: Paige Jarreau. Aircraft model being prepped for wind tunnel testing! Finally, we also toured NASA Langley's Research Aircraft Hangar, which was AMAZING. 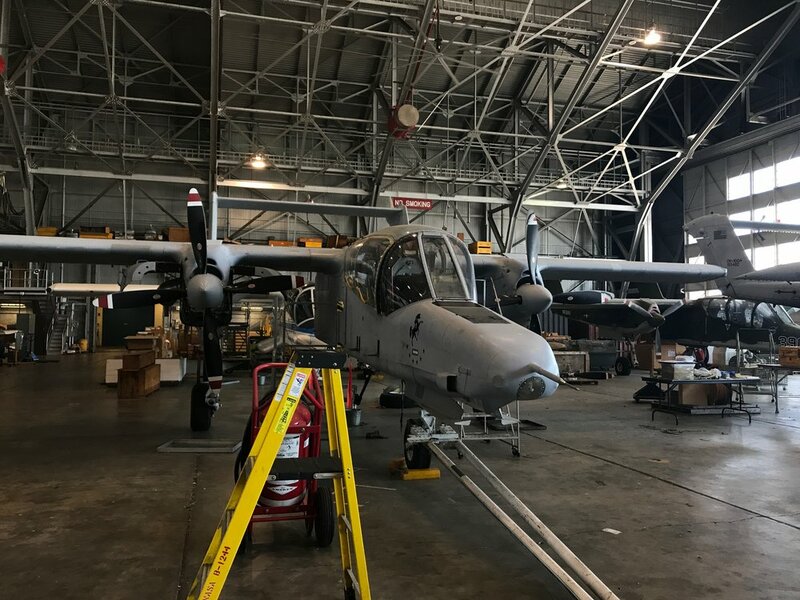 The hangar houses a variety of research aircraft that are used for earth science research as well as advanced cockpit work, or testing new cockpit technologies and electronic displays that may be adopted by commercial air jets and other aircraft. NASA aircraft used for earth science research. Credit: Paige Jarreau. 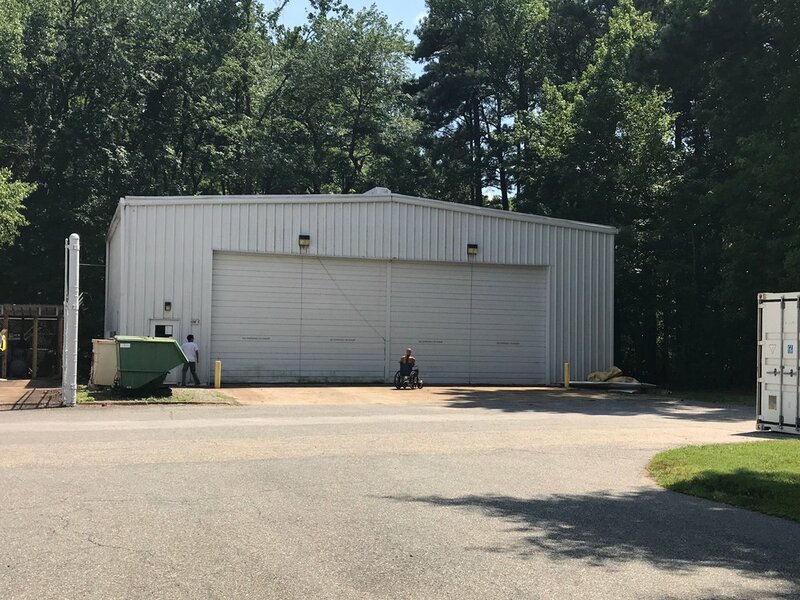 Built in 1951 to house one of the biggest bombers at the time, the NASA Langley Research Aircraft Hanger became a National Historic Landmark for housing the Langley Rendezvous and Docking Simulator. Mercury and Apollo astronauts used this simulator to train for docking in lunar orbit.